Some fairly ordinary houses in Sighisoara, Romania. 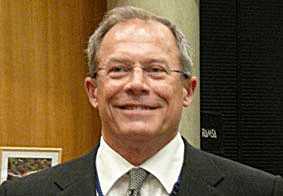 Some people, like NZ Climate Science Coalition energy spokeman Bryan Leyland, have been warning for years that the introduction of trading in invisible, unmeasurable, so-called “carbon credits” (or ‘fume permits’) is an open invitation to fraud. Since 2002, Carbon Trade Watch has been keeping a close eye on the effectiveness of and criminal activity in carbon trading around the world. They wrote a good summary in April this year of frauds in the European scheme. Now, we see the involvement of an entire country in “irregularities”, with Romania being completely barred from trading in carbon credits. The Kyoto Protocol created a Compliance Committee (or Carbon Police), responsible for setting fines or deciding other punitive action when countries fail to meet their obligations under the Protocol. The Compliance Committee has suspended Romania from participating in the carbon “market” because, they say, there are “irregularities” in Romania’s emissions data. The country was anticipating earning $US2.2 billion towards reducing its national debt from sales of carbon “offsets”. The temptation to misreport the nation’s emissions and sinks is perhaps too easy, but one wonders what nasty political considerations might lie behind this severe and rapaciously expensive sanction (if the country loses the whole of the potential earnings, the fine is $US2.2 billion for what might have been an administrative lapse). One has strong doubts that the same thing happen to, say, the UK or Germany if they counted the invisible gases improperly. 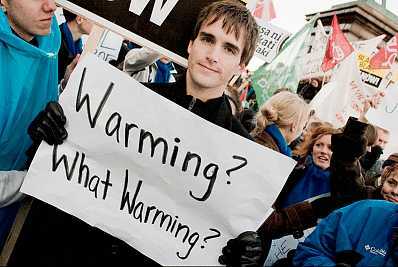 There has been a clever and very successful propaganda campaign to turn us against greenhouse gases. Independently peer-reviewed scientific papers published in learned journals are the Holy Grail of climate science alarmists, and the IPCC in particular. So they want to get friendly papers in and keep contrary papers out. The Climategate emails show continuous collusion between members of the “Hockey Team” to prevent journal publication of any paper which challenged the IPCC dogma. Because, once published, a paper becomes part of “the scientific literature” and authors are obliged thereafter to take it seriously. 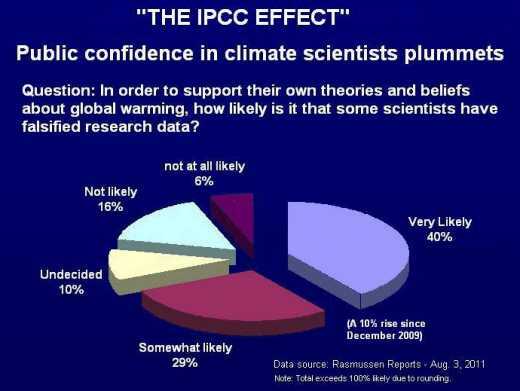 Of course, the IPCC manipulates the system outrageously. After Chairman Pachauri assured the media that it disregarded non-peer-reviewed opinions, revelations came that more than one-third of the material used by some Working Groups came from the “grey” literature (usually written by Big Green activists). We hear repeatedly about an alleged overwhelming “consensus” of climate scientists who apparently all believe the same thing about the world’s climate. What, precisely, they all believe is not only undefined but also variable, according to whether we’re discussing human emissions of GHG, ocean acidification, the spread of malaria, the “loss” of polar ice caps, altered butterfly populations, extra floods, extra droughts, loss of polar bears, harm to poor people or dangerous sea level rise. NIWA shows 168% more warming than Rhoades & Salinger – the method NIWA betrayed. The blue dashed line shows the warming trend when the method is used correctly. The red line reveals NIWA’s outrageous fraud – it’s much stronger warming, but it’s empty of truth. NIWA didn’t use Rhoades & Salinger. We can prove it. They lied. NZ Climate Science Coalition statisticians have uncovered evidence of scarcely believable deception from our National Institute of Water and Atmospheric Research Ltd (NIWA). Last December, NIWA released a reconstructed NZ temperature series Report on the Review of NIWA’s Seven Station Temperature Series (“7SS Review”) (pdf, 8.5 MB). It has a fresh new graph (below) that’s all but indistinguishable from the previous graph. But that’s not the point. 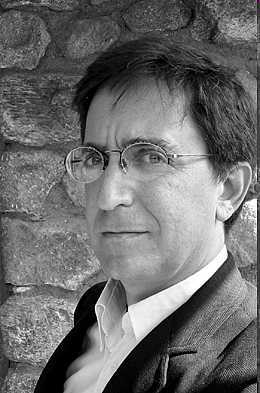 Andrew Revkin – Dr Who? Warmist internecine strife has never really appeared on my radar, but now it’s actually spoiling the image. How encouraging it is to my sceptical heart to hear leading warmists brawling in their little playground. They express perfect hatred for each other. Are they frustrated that their warmist preferences for scientific conclusions and policy recommendations are becoming as last season’s fashions? Does it sting their vanity that they can do nothing to halt the loss of face that now disfigures their darling beliefs in global warming? 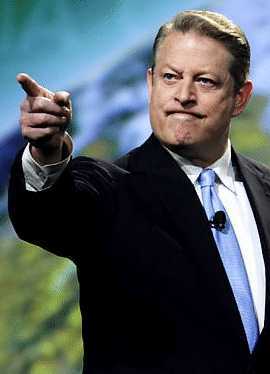 The Washington Times rips into the famous Al Gore, he of the warmist persuasion, the alarmist disposition and the iconic, truth-bending book and movie An Inconvenient Truth, for ignoring his long-cultivated good manners and giving vent to a stream of public profanity at sceptical scientists. It’s clear that the practice of quietly stating the truth and asking pertinent questions does start to unpick the foundations of belief. Poor Al. This post could be considered tardy. However Donna Laframboise’s illuminating comments lose nothing with the passage of time. They deserve circulation and Auckland’s possibly best-known sceptical climate scientist deserves her thoughtful and eloquent support. Four weeks ago, on July 16, the Herald published Chris Barton’s attack on Chris de Freitas’s integrity. The next day I posted a defence of a scientist who has given a lot of help to any number of keen climate amateurs like myself and has the courage to say out loud that things are not scientific if to him they appear in fact to be unscientific. NIWA’s paper finds strong warming. But when their temperature data are processed according to the proper methodology, there’s no unusual warming. Throughout their paper, NIWA cite the proper method, but they never use it. Why not? Why did they lie to us? In December last year, NIWA released their long-awaited review of the NZ temperature record (NZTR). We’ve reviewed that report and found serious errors. NIWA used the wrong method and created strong warming. We used the right method and found mild warming. There are a few things we need to understand about weather stations. The first is that these stations sit there for a long time. Some of them have been in the same place for 80 years and more. If you sat in one place for that long, you’d see stuff happening around you — same for the weather station. Trees grow, buildings go up, airport runways get covered in tarseal or concrete, roads appear, and these and other non-climatic influences affect the temperature readings, usually making them warmer, but not always. Sometimes the station gets moved, and it’s always better to keep all that history if you can, so you try to adjust it rather than start again with a new station. 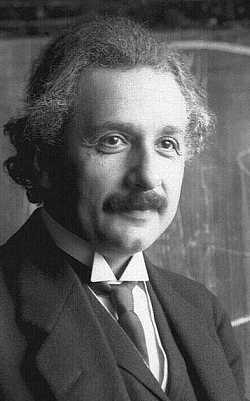 To defeat relativity one did not need the word of 100 scientists, just one fact. This statement is not true because Einstein made it — it’s true because it accords with reason. Theory must always bow to observation. Unfortunately, in CAGW (catastrophic anthropogenic global warming) we have a theory which is undefined in a peer-reviewed paper, which means it’s almost impossible to refute. This is deliberate. Sceptical questions provoke the inevitable challenge to “produce a better theory” — as though their opponents’ failure to do so proves the half-baked theory correct, which it cannot. Any change in the climate, especially any violent weather event which injures us or damages our property, “proves” climate change, which, by a mere trick of linguistic association, “proves” global warming. That, in turn, is our fault. After all, so many people wouldn’t be talking about how to prevent it if it didn’t exist, right? Everyone wants it; some don’t want to share. Free speech in New Zealand? Everyone claims the right to free speech, but not necessarily for ‘others’. 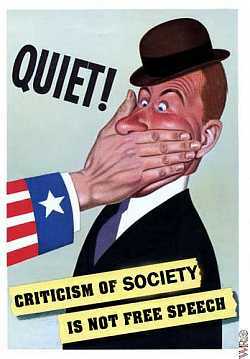 All talk of curbing free speech is for ‘other’ people, never for oneself. What is a debate? It’s just a few people talking to each other. Who could be afraid of a little debate? Well, when vested interests are concerned, any number of people. Andy mentions in comments that readers at Hot Topic are talking about emailing PRINZ to stop the climate debate with Christopher Monckton. They say the debate is “unethical” because it spreads confusion. They complain about Monckton’s use of the phrase “Hitler Youth”. He used this at Copenhagen when a group of youth activists tried to shut down his debate. Doesn’t anyone do irony any more?